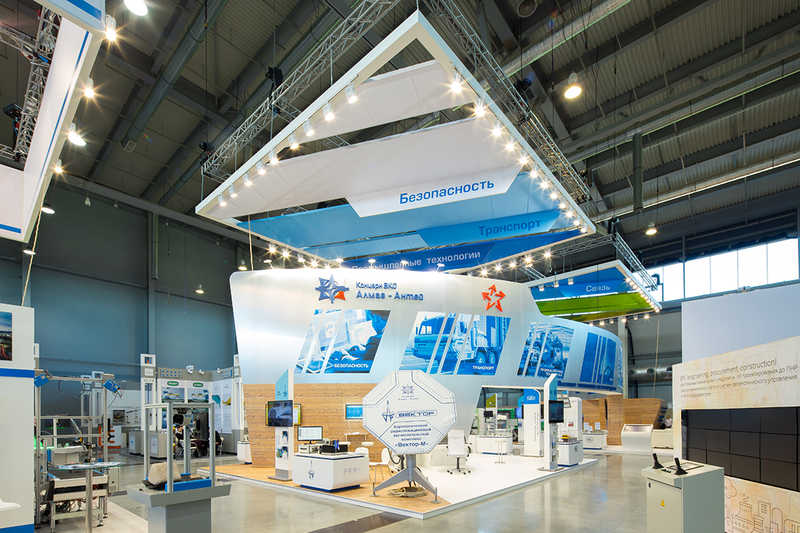 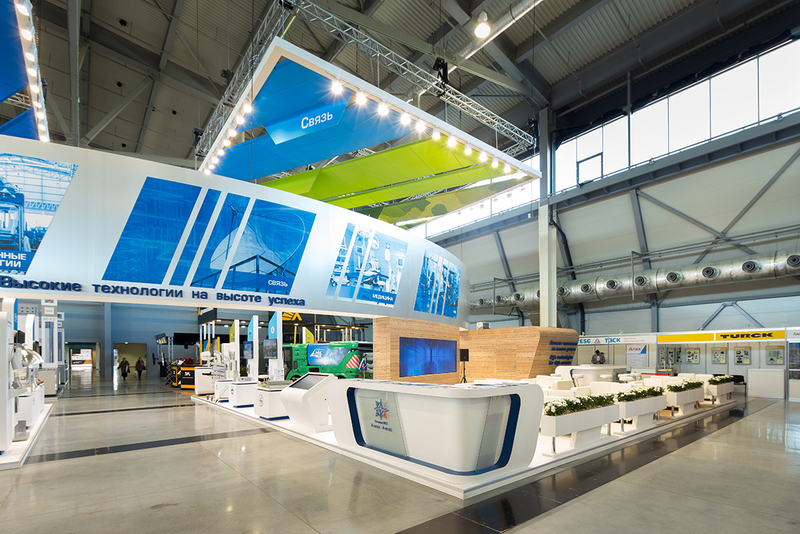 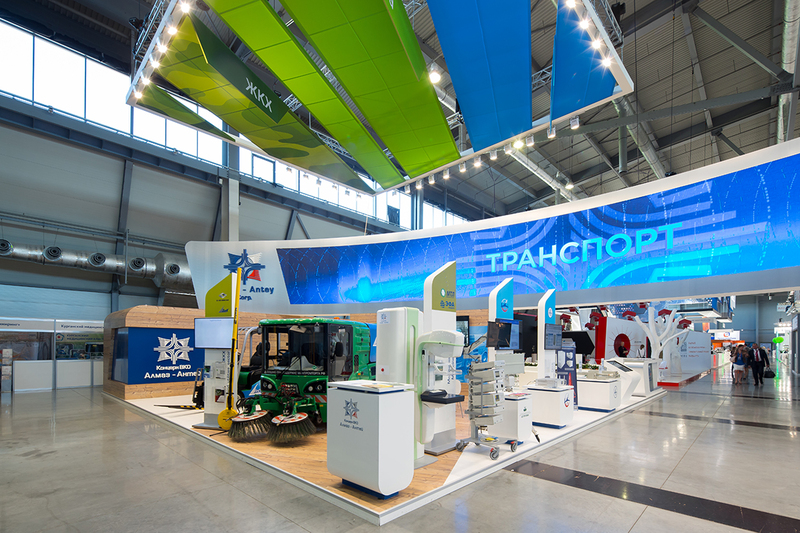 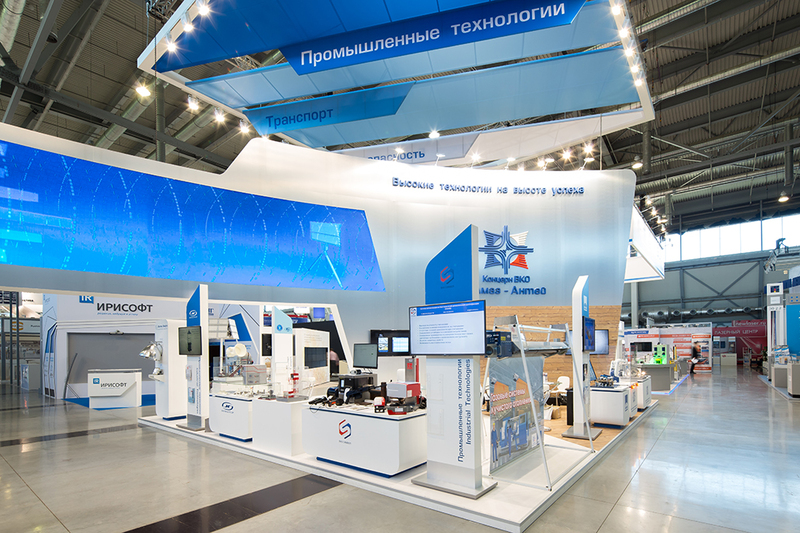 Almaz Antey large-scale stand on Innoprom 2017 was remarkable due to the huge twenty-meter screen that was placed over two parts of the stand and was a unifying element for the whole space. 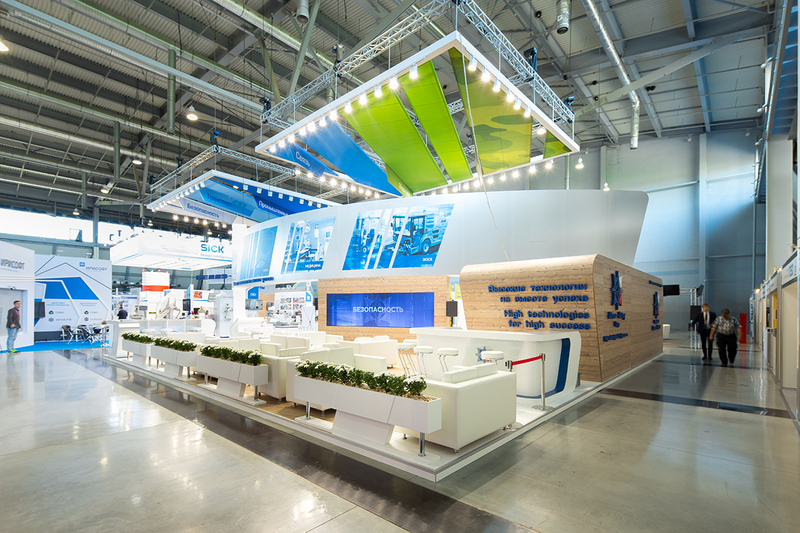 A unique content was purposely designed for the event. 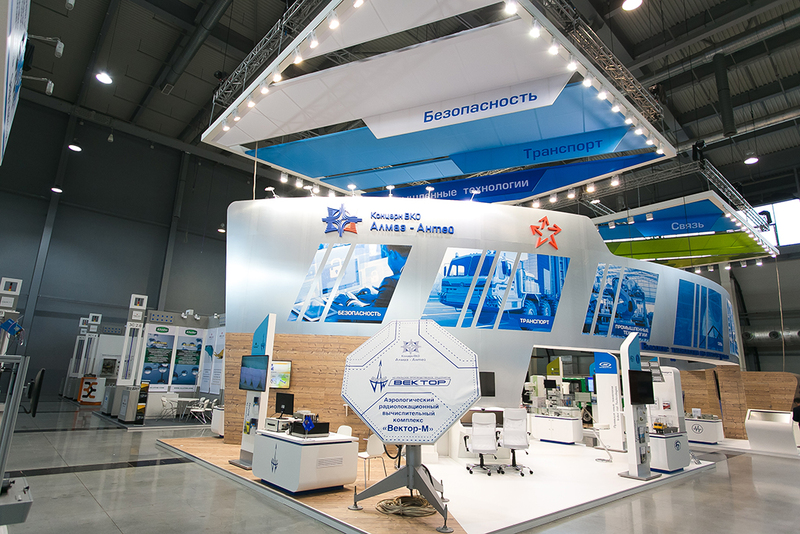 This content emphasized the general idea of company’s production diversification, the transition to civilian industry products.